1 Expedition 38 Flight Engineer Sergey Ryazanskiy of the Russian Federal Space Agency, Roscosmos, is helped out of the Soyuz Capsule just minutes after he, Commander Oleg Kotov of the Roscosmos and Flight Engineer Mike Hopkins of NASA, landed in their Soyuz TMA-10M spacecraft near the town of Zhezkazgan, Kazakhstan. 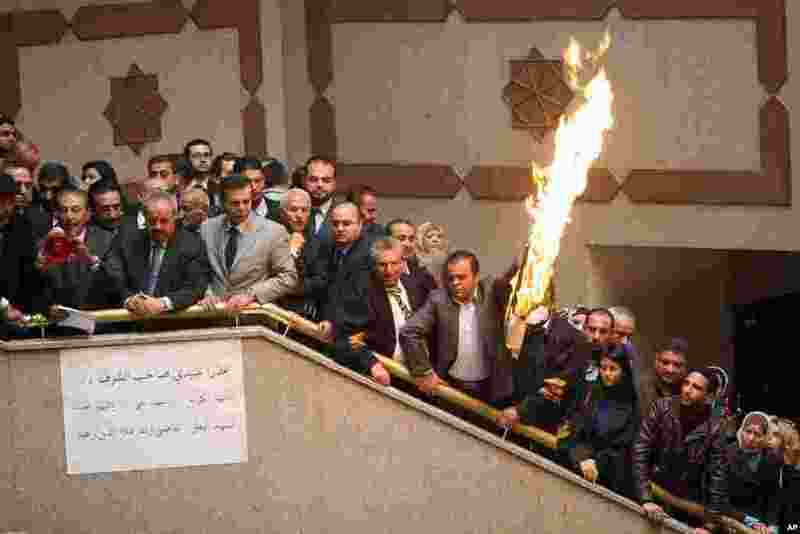 2 Jordanian lawyers and judges burn a representation of the Israeli flag during a strike inside the Palace of Justice in Amman, protesting the killing of Jordanian judge Raed Zueter by Israeli soldiers. The protesters demand the deportation of the Israeli ambassador and the immediate release of Ahmed Daqamseh. Daqamseh is serving a life sentence for killing Israeli schoolgirls in 1997 during an outing near Jordan's northwestern border with Israel. 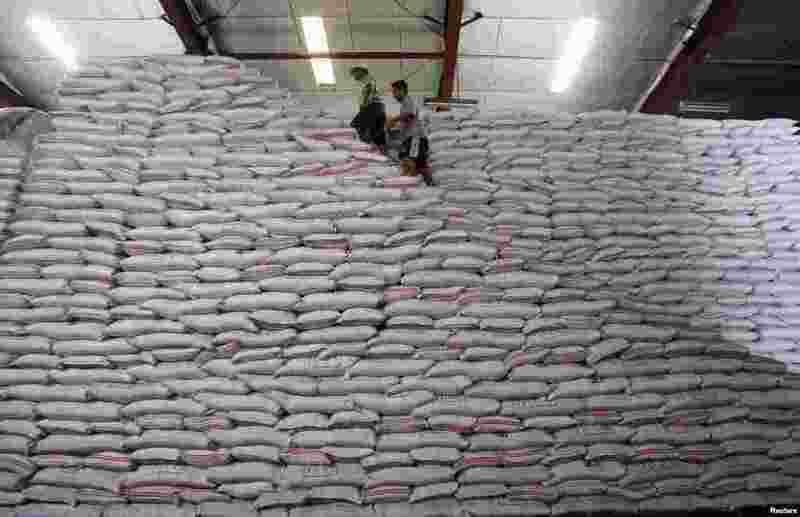 3 National Food Authority workers walk atop sacks of rice as they make an inventory of rice stocks at a government rice warehouse in Taguig, Metro Manila, Philippines. 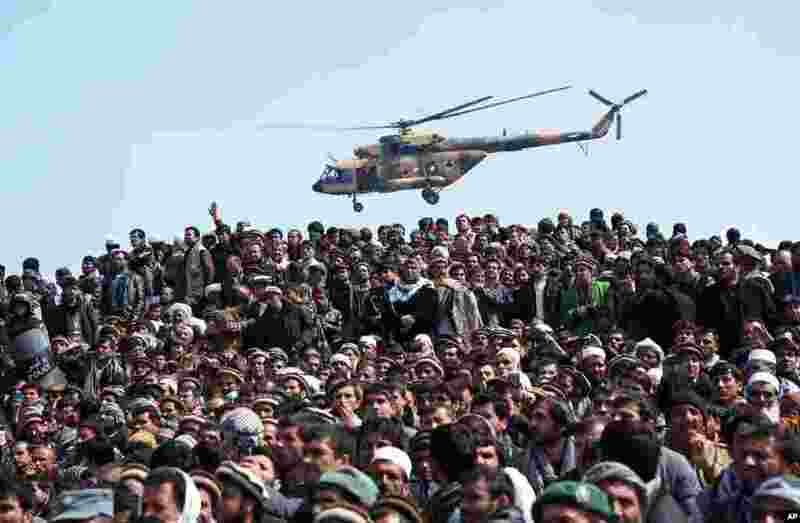 4 An Afghan National Army (ANA) helicopter flies overhead as Afghan men attend the burial of the country's influential Vice President Mohammad Qasim Fahim during his funeral procession in Kabul.